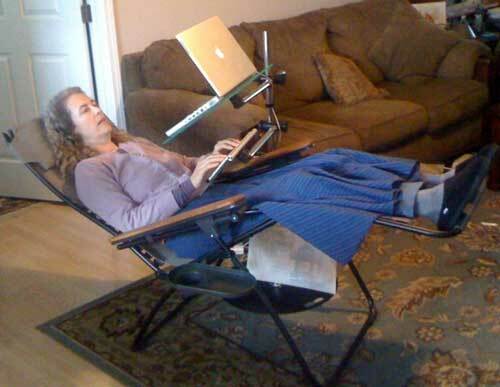 Whether you are sitting on the couch, lying in bed or exercising you can use keyboard at any angle so that you can use either your right or left hand and bring your laptop to you. The simple yet sleek design will compliment almost any color of furniture or style of room. 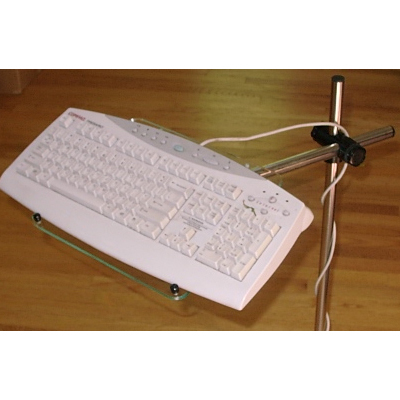 Easily adjust your keyboard in every direction and every angle for optimal comfort and health. Everything you need to add a keyboard to any Tablet, Laptop or Projector AirDesk. 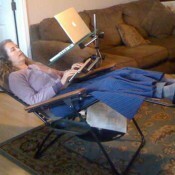 Whether you are sitting on the couch, lying in bed or exercising you can use Laptop Desk at any angle so that you can use either your right or left hand and bring your laptop to you. 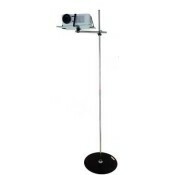 The simple yet sleek design will compliment almost any color of furniture or style of room. 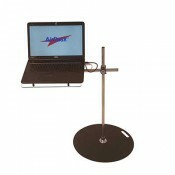 Easily adjust your laptop in every direction and every angle for optimal comfort and health. Instead of being anchored to your desk you can get your work done while enjoying the comfort of your favorite seat. Now you can watch tv while working in your living room! 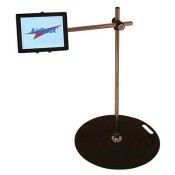 Our Laptop Arm attaches to any AirDesk mast and allows you to mix business with just the right amount of pleasure. When you want to take a quick break from your work or need to get up to get that much deserved snack you can effortlessly swing away your laptop.